Home - What’s the Difference Between Guilt and Shame? It happened again. My two-year-old twins were fighting over the same stuffed animal. This isn’t new, either—the minute one starts playing with a new toy, the other has to make a grab for it. I told them time and again to stop. I had empathized with both kids, describing their emotions. I even tried letting them sort it out themselves. All kids will feel remorse, regardless of how defiant they may appear. Maybe your child said something bad about a friend. Or he lied about spilling paint all over the floor. And he likely feels terrible for having thrown tantrums. At this point, the way we address our kids bears so much importance. Telling my twins they always give me trouble was, first off, inaccurate. And second, it sent the message that they are children who give me trouble, no matter what they do. Notice how the words didn’t address their behavior or how they can learn to share. I had attacked their character and called them troublesome. And this is why the words we say are important—they can hone your child’s sense of guilt, or they can contribute to his shame. A quick note before you read on. I’m hosting a free 14 day Confident Parenting Challenge. Join the challenge here. 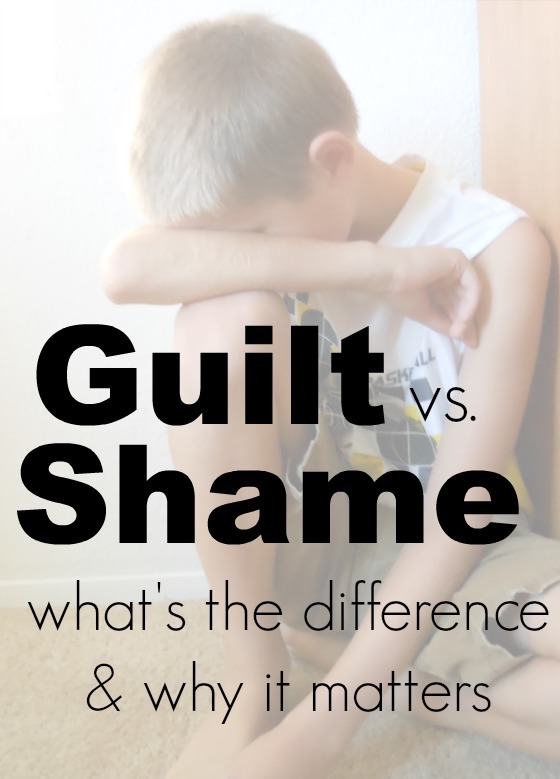 Guilt is the awareness of having done something wrong that comes from our actions: Your child feeling bad because he hit his brother or for refusing to brush his teeth instead of following the routine. As it turns out, guilt is a normal and even healthy emotion to feel. Think about it: you want your child to feel bad for having done something wrong. An example of the opposite would be for him to hurt someone and feel fine with it. Guilt is the conscience guiding his decisions and defining right from wrong. If that is guilt, then shame is the terrible feeling that rises because of how your child sees himself. Maybe he feels like he is never good enough. Or that he’s the “the dumb one” out of his siblings. Or he is a liar. As I mention in my book, Parenting with Purpose, your child can easily change his behavior and actions, but not his inherent traits. Addressing his behavior as “bad” means the behavior is something you may not approve of but one he can always change. Tomorrow, he can do better. He can try harder and communicate clearer. He won’t always whine or cry or give you trouble. But if your child is a “bad boy,” then he has no room to change. In his eyes, nothing he can do will change him from being one. How can we then make sure we hone their guilt and not discipline with shame? Address your child’s behavior, not his innate traits. The problem lies in your child’s behavior, not that your child is a problem. You correct his behavior but you don’t try to change him. You communicate that he did a bad thing, but he’s not a bad boy. 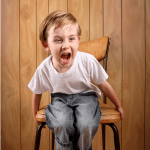 If your child whines, don’t say, “You’re a whiner.” Instead, say, “We don’t whine. Can you ask me politely?” You send the message that you love him even if you don’t love his behavior. In fact, you love him no matter what, misbehavior and everything. When your child feels guilt, he knows it’s his behavior that’s unacceptable. Not only that, he knows he can correct it. I’m not perfect—I’ve unfortunately addressed my kids’ character instead of their behavior many times. Still, the more aware we are of how we phrase our words, the better we can improve our relationship with our kids. Yes, even as they fight over the same stuffed animal once again. 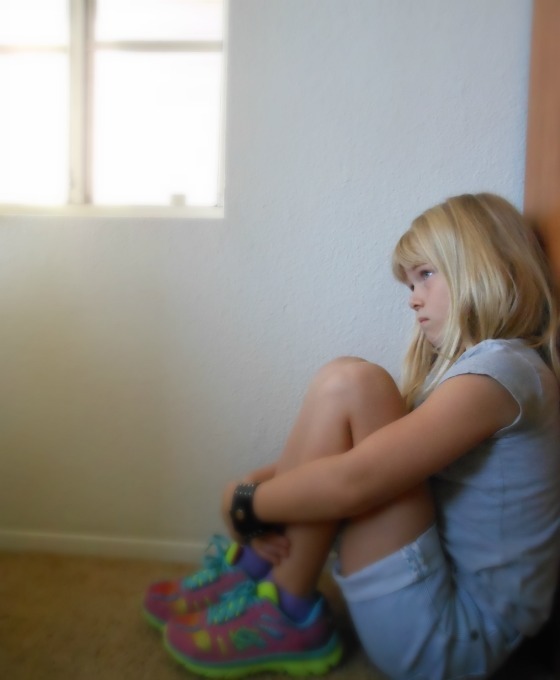 Your turn: How do you think the words we say affect our children’s sense of guilt and shame? Nina is a mom to three boys—a six-year-old and toddler twins. She blogs about parenting at Sleeping Should Be Easy, where she writes everything she’s learning about being mom and all its joys and challenges. For more tips on parenting and behavior, get her book, Parenting with Purpose: How to Raise Well-Behaved Children and Build a Strong Parent-Child Relationship, available on Amazon on October 18! Great tips, Nina! My son has expressed shame at being “bad all the time” and it broke my heart. I want him to feel guilt for doing something wrong, if only to make sure he doesn’t do it again. I don’t want him to feel like can’t change those things, though. Greatly expressed. And I’ve so been guilty of saying things at the heat of the moment that attack character, and not an individual behavior. And the whining thing.. I need to use your words so I can speak more carefully. Such a great reminder. Always address the behavior, not the child. Even with that, you always must be careful. It’s tough. I love this — “Think about it: you want your child to feel bad for having done something wrong. An example of the opposite would be for him to hurt someone and feel fine with it. Guilt is the conscience guiding his decisions and defining right from wrong.” So true. Thanks for sharing this. I didn’t realize there was a difference, so THANK YOU for pointing it out. Now, I’m trying my best to label/describe the behavior, not the child. Trying trying trying! Better would be to concentrate on the behaviour you want to see, and how the bad behaviour makes the other person feel – ‘I don’t like to hear whiny voices, it’s hard to hear what you need/ it makes me sad – please ask me politely’.